Whether the word “brand” makes you smile, roll your eyes, or groan, the bottom line is that we all have one. We’re not talking about selling or manipulating others. We’re talking about thinking intentionally about the kind of impression you want to make in the world. 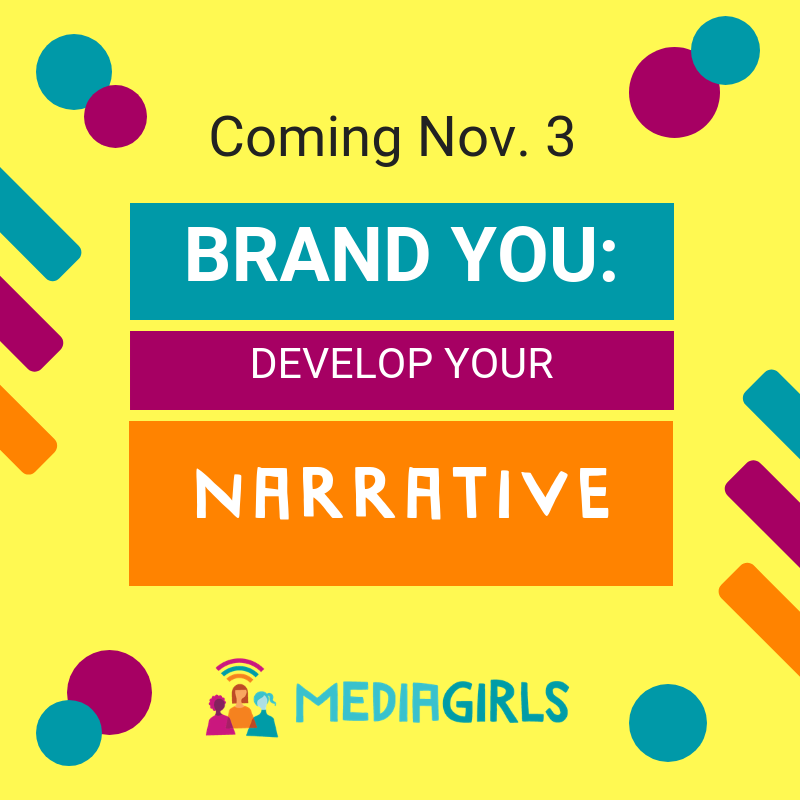 It’s genuine; given what a huge impact your personal brand has on your life, we want to help you develop yours. We’re bringing in MEDIAGIRLS board member and Director of Talent Management and Organizational Design for Thermo Fisher Scientific Elisa Vincent to help you. Location: The Brookline Community Foundation Conference Room, 40 Webster Pl, Brookline, MA 02445. Develop a unique personal brand statement that speaks your truth. MENTORS AND ALUMNI RSVP HERE!